This page is the home for any random or miscellaneous 5th Division things I come across or anything submitted by 5th Division Marines, their family members, friends or anyone with an interest in the 5th Marine Division. Please contact the webmaster if you have any items you would like to see posted on this page. 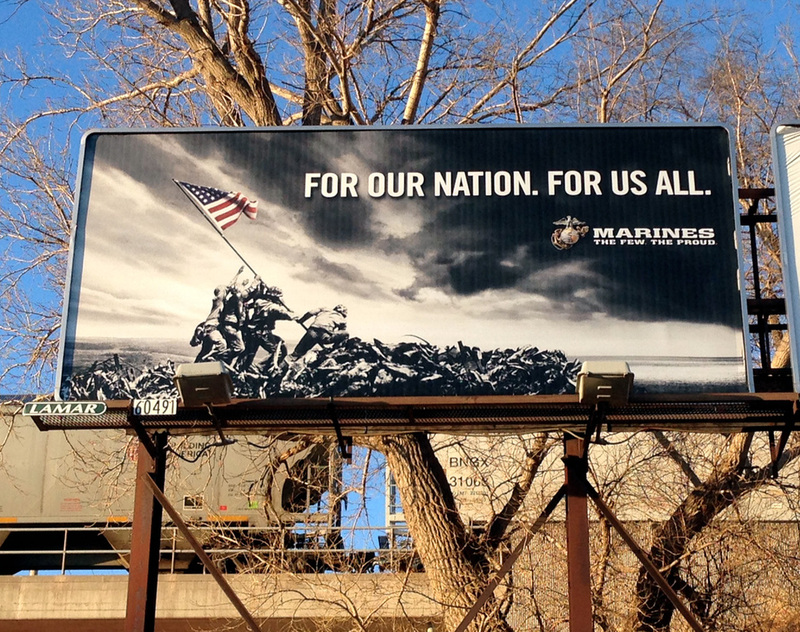 I have seen several of these billboards around Omaha over the course of the past few months. This photo is a smaller version of the billboard located about a mile from my house. I drive by another one on my way home from work that is probably six times larger than this one. It's awesome to see the Marine Corps still getting some milage out of Joe Rosenthal's iconic photo. It truly has withstood the test of time as one of the greatest moments ever captured on film.